Domestic Departure Tax KES 100, Intl is US$20, but usually included in the ticket price. A Matutu is a local minibus that runs when full. Location: 12 km/8 Miles SSW of Eldoret. By Taxi: To the city ~KES 800. By Bus: Matutus run into the city from ~KES 30. Location: 3 km/2 Miles NW of Kisumu. By Taxi: To Kisumu town KES 500-600/10 mins. By Bus: Matutus run to town for KES 30-40. Location: On Manda Island across the water from Lamu. By Boat: Regular boats run to the main jetty in Lamu, near the Kenya Airways Office. ~KES 100. Going to the airport, boats leave about 30 mins before flight departures, or you can take a private boat for ~KES 200. Location: 2 km/1 Mile S of town. By Taxi: To the resort beaches ~KES 500. Dep Tax: See green box at top of page. Location: 10 km/6 Miles WNW of Mombassa. By Taxi: Readily available. ~KES 700-1000/15 mins to the city. Kenatco Taxis Ltd (011)220340. By Bus: There is no longer a public bus which goes to the airport, however any Kwa Hola or Magongo matatu from Kenyatta Avenue in the city will take you past the airport turn-off (ask to be dropped off) from where it is a ~10 minute walk. Cost: ~KES 25. Travel Time: 20 mins. On-Airport Rental Car Providers: Budget, AVIS, HERTZ, PAYLESS & City Car Hire. Airport Tel No: +254 41 434 020. Airport Tax: See green box at top of page. Location: 14 km/9 Miles ESE of the City. Airport Overview: The airport consists of 3 units (usually called terminals), all in close walking distance of each other. There is also an International arrivals terminal, where all arrivals from abroad come in. Unit 1 is for British Airways, Emirates, Air Mauritius, Air India, Sabena, Swiss & African Express Airways departures. Unit 2 is for departures by Kenya Airways, Air Zimbabwe, Rwandair Express, KLM, Ethiopian, Saudia & Egypt Air. Unit 3 is for domestic arrivals and departures by British Airways Regional, El Al & other domestic airlines. All the terminals except the Intl Arrivals terminal are basic with few transport or banking options. Notes: Expect to be approached (nay assaulted) by numerous private taxi drivers as you exit arrivals. Be careful, and if in doubt use an official airport taxi. Agree the price beforehand. Taxis wait outside the arrivals areas of each terminal. Taxi is the only way into the city after 2100 or 2200 and before about 0600. There are taxi company desks as you exit customs including one for JKIA Taxis. Approx Costs: To Nairobi City Centre KES 1200-1700. 15-30 mins depending on traffic and time of day. To Wilson Airport KES 1500, Westlands KES 1500 & Windsor Golf Club KES 2200. Taxi Companies: New Jambo Taxis +254 (20) 822 011 or 822 114. Mobile 0722 221986. Jatco Taxis Tel 020 444 6096. Kenata Taxis Ltd Tel 0721 830061. General: Most buses stop outside the Intl arrivals terminal while some may stop outside unit 3 domestic arrivals. CityBus #34 to Nairobi City: The cheapest way of getting into town is on City Bus#34, which runs every 20 mins 0600-2100 and takes ~45 mins, more at busy times. Stops at the Hilton Hotel, Kencom & the Ambassador Hotel in the city. Citihopa Mini-buses to Nairobi: Citihopa mini-buses, which charge KES 40, run to and from the airport from the city centre (Ambassador Hotel bus-stop). Hotel Shuttles: Some hotels may offer a shuttle service including the Safari Park Hotel & Casino. The Intercontinental Hotel runs such a service for KES 900 per person or per family each way. Call the hotel to reserve, or meet the van at the airport. Impala Shuttle Services: Has a desk in Intl arrivals. Contact: Tel Toll Free: 0800 2219000, Cellphone 0722 506061 & Office: +254 20 2731284/30953. On-Airport Rental Car Providers: In the Intl arrivals hall are desks for Budget (exit Intl arrivals to the right and turn right), EUROPCAR NAZ Car Rental, & AVIS. In Unit 3 (Domestic arrivals) Beliot provides car hire. Tel 0722 754 248. 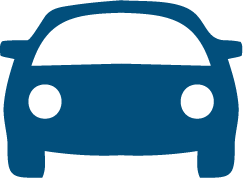 Car Parking: Short Term Parking is provided between the departure and arrival terminals. Cost: 1 hour KES 60, 2 hrs KES 80, 4 hrs KES 90, 6 hrs KES 120, 8 hrs KES 180, 12 hrs KES 200, 24 hrs KES 280. Airport Tel No: +254 20 822 111. Airport Tax: Arrival: Most nationalities can buy a visa on arrival at major airports. Cost GBP £20 or £30 for all including children. Departure: Intl US$20, Domestic KES100 (but usually now included in the ticket price). Baggage Storage: Left luggage facilities are available in unit 3 (domestic departures). Cost: KES 300 per bag. Money Services: Barclays Bank and other ATMs/Cash machines available in Intl Arrivals. There is a branch of National Bank with ATM in Intl arrivals. There is a Bureau de Change/Currency Exchange in Intl arrivals. Notes: Hotel booking desks and travel agents can be found in the Intl Arrivals Hall and in Domestic arrivals in Unit 3. Intercontinental Hotel & Sarova Hotel have desks in the Intl arrivals area. In the basement of the Intl arrivals area is Grand Voyage Travel, who can arrange Hotel bookings, transfers and car hire. Exit customs, turn right and go down the stairs at the end of the building). Updated Jan11 Visit. Last Visit Jan11. Location: 5 km/3 Miles SSW of the City centre. Airport Overview: The airport is a confusing array of terminals for different airlines & Charter companies. Follow signs to the correct terminal for your flight. By Road: The airport is along the Uhuru Highway out of town. The entrance can be hard to spot, being just behind the BP filling station. There is a charhe for vehicles to enter the airport grounds. For a normal car this is KES 30 for a single entry. By Taxi: To Nairobi city centre ~KES 700/10-20 mins depending on traffic. Bus #125 & #126: run to the railway station in the city for ~KES 20. Metro Shuttle Buses #24 or #15: run to the Kenya Cinema or Kencom opposite the Hilton Hotel for ~KES 20. Matutu #15: runs to Tusker in the city centre for ~KES 20. Hotel Buses: Major hotels may offer a shuttle service. Notes: This airport is mainly used for light aircraft and for flights to Masai Mara, Malindi, Lamu, etc. by Air Kenya & other smaller airlines. Airport Tel No: +254 20 501 941. Updated Mar05 Visit. Last Visit Mar05.